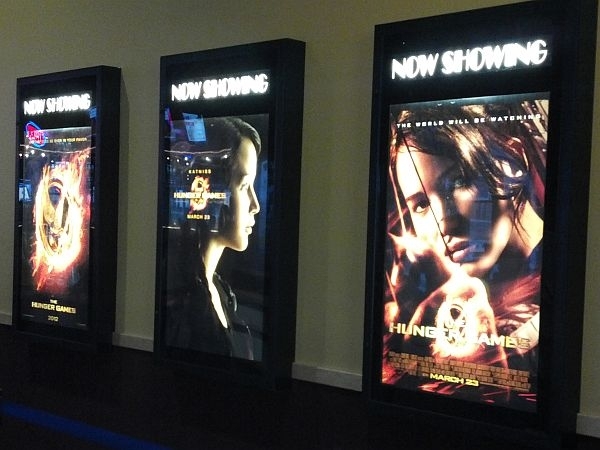 It was hard to escape the hype of the weekend’s highest-grossing movie, "The Hunger Games." The film about a dystopian future has a unique connection to Vermont: Hunger Games producer Jon Kilik is a graduate of the UVM Film and Television Studies program. He was in Williston Sunday for the movie’s premiere weekend. VPR’s Patti Daniels was in the audience. (Movie clip) "Our tributes – Peeta Mellark and Katniss Everdeen!" "They just want a good show, that’s all they want." "There’s 24 of us, Gale, only one comes out." (Kelliher) "It’s so interesting that all these kids especially my age think, ‘Whoa, this is so cool! We gotta see this!’ And you just connect to the characters and you feel like you know them." (Addison Moulton) "I don’t like to be so mainstream, but I really enjoyed the books. I thought they were just phenomenal." 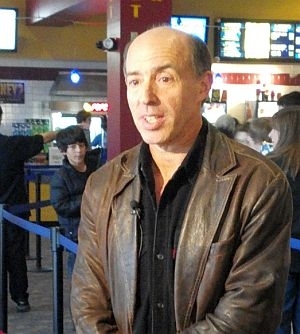 (Daniels) Leah and Addison were both in line yesterday afternoon at the Majestic 10 in Williston, where the added draw was Jon Kilik, the movie’s producer. (Kilik) "Although it takes place in the future, it’s not really science fiction. It’s allegory for our times." (Kilik) "When you see it, it’s a very first-person narrating style and editing style – you are really in her shoes." (Daniels) Kilik keeps close ties with UVM. He says he wants every film student there to know there’s a chance at making it big. (Movie clip) "This is the time to show them everything – make sure they remember you." (Daniels) For VPR news, I’m Patti Daniels. NOTE: Sunday’s showings in Williston raised about $5,000 for UVM’s Film and Television Studies Program. Jon Kilik is speaking Monday afternoon at UVM.